We raised over $49,000 for Encina this year! Join us to celebrate Encina's Class of 1968--with special remembrances, Class of 68 alumni, faculty, Class of 1968 memorabilia, special "50 Years" Birthday Cake and more! 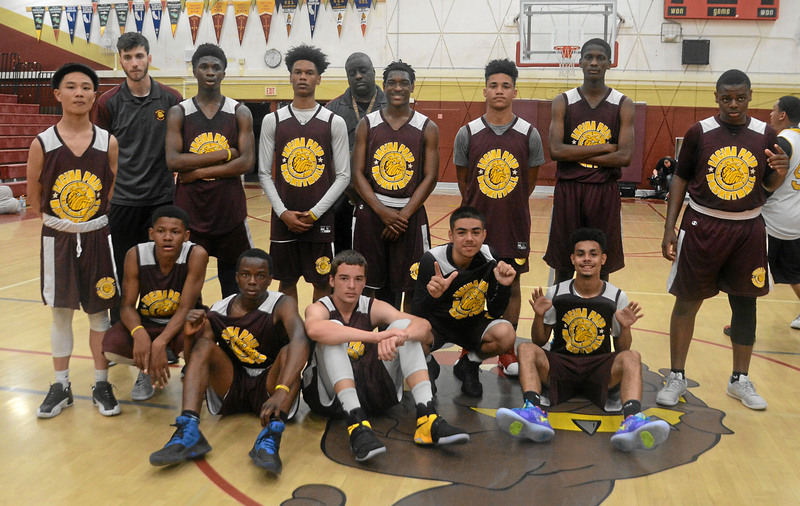 Dinner will be followed by the always-exciting basketball game between an Encina Alumni team and the current Boys Varsity team. This extremely competitive series currently stands at 10 wins for the alumni and 6 wins for the varsity. Our professional announcer, Peter Boam (Class of '63) will call the game and be Master of Ceremonies for the event. The Alumni Challenge is one of the most successful high school fundraisers in Sacramento history. Last year we raised almost $48,000 and the grand total is over $725,000 in total funds raised by alumni for our school!! THANK YOU! Even if you cannot attend the event, please consider a donation on behalf of your graduating class. Your donation helps fund equipment and tournament fees for sports, academic programs, field trips, scholarships, college campus tours, and much more at Encina. Football uniforms, programmable microcontroller-based robots for physics, basketball tournament fees, tools and glazes for ceramics, soccer uniforms (championship teams can be hard on uniforms <g>), girls basketball uniforms and shooting shirts, girls softball uniforms, volleyball equipment, new wrestling mats (Encina can now host tournaments for the first time in MANY years), calculators for math classes, college scholarships, cooking club, health occupation students to HOSA state conference, Encina Safe All Nite Grad, and MORE. Almost ALL of these programs and projects get no funding from the school district or other sources, but make a big impact on campus and students' lives. We have made, and continue to make, a positive impact on Encina! The evening starts off with a free dinner at 5:30 p.m., and admission to the game is free as well. The game starts at 7:30, and there is a rousing half time event scheduled. Encina gets money for the traditional "core" classes such as math and reading. We (alumni) are providing assistance for many of the extracurricular programs, elective classes, clubs and other programs that help to enrich students' experience at Encina. 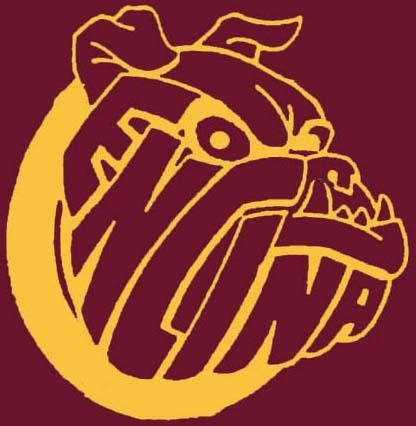 The money goes to the Encina Booster Club , which allocates the funds based on requests from students and faculty. While much of the money is allocated to sports as you would expect from a booster club, a lot of the money goes to academic and other non-sports programs. All Sports (uniforms, tournament fees, bleachers, transportation, supplies, etc.). Wish Lists for staff (this is open to ALL staff to submit items that are not covered by district nor department funds). Several alumni have asked whether there is any financial oversight for all the money donated to the Encina Booster Club. Is there anything which prevents the funds from being misused or even embezzled? 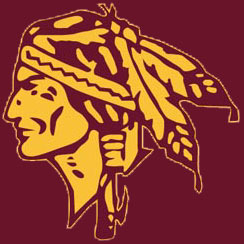 "I am happy to talk about Encina's Booster Club financial oversight. I sat on the Booster Club as "Auditor" for several years and have been Treasurer for the last seven years. My classmate Bob Goosmann (Alumni Challenge player/coach) and I attend most monthly meetings, which are held at 4:30 pm on the second Tuesday of each month except July and August. Funds that are collected by the Booster Club are deposited into a Bank of America account. Barry Roth, Encina's Community and Partnerships Coordinator, records how much is received from whom (photocopies incoming checks, snackbar sales records, etc). He emails Harlan and me with Alumni donor name, date of receipt and amount. While Harlan does not usually see snackbar, t-shirt sales and such, I do. Donations via PayPal are recorded and acknowledged and then transferred to our Bank of America account. The majority of our funding is from Alumni Challenge pledges. As treasurer, I reconcile each month's bank statement with our Quickbooks records and provide a detailed transaction journal, spending vs. budget analysis and balance sheet at each monthly meeting. Treasurer's records are reviewed at each meeting at which time we also make disbursements for approved expenses. Our CPA reviews our work and prepares our annual tax filings. Each year, Principal (Richard Judge), Booster Club President (Angie Kerr), Encina Community and Partnership Coordinator (Barry Roth) and I build a proposed budget to be approved (with modification/changes) by the membership. 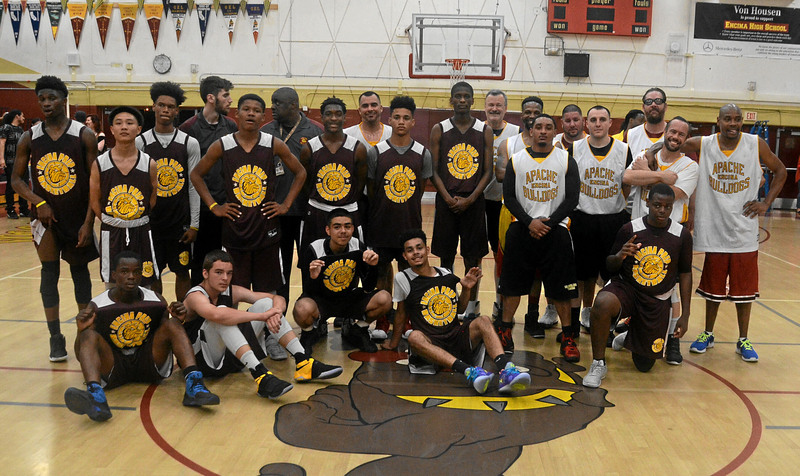 We allocate funds to Encina programs based on department need with about 50% going to sports and 50% going to academic programs, scholarships, Alumni Challenge expenses, and such. Each semester we ask staff to submit requests for program and project funding. We fund those that are believed to provide the greatest positive impact to Encina students. 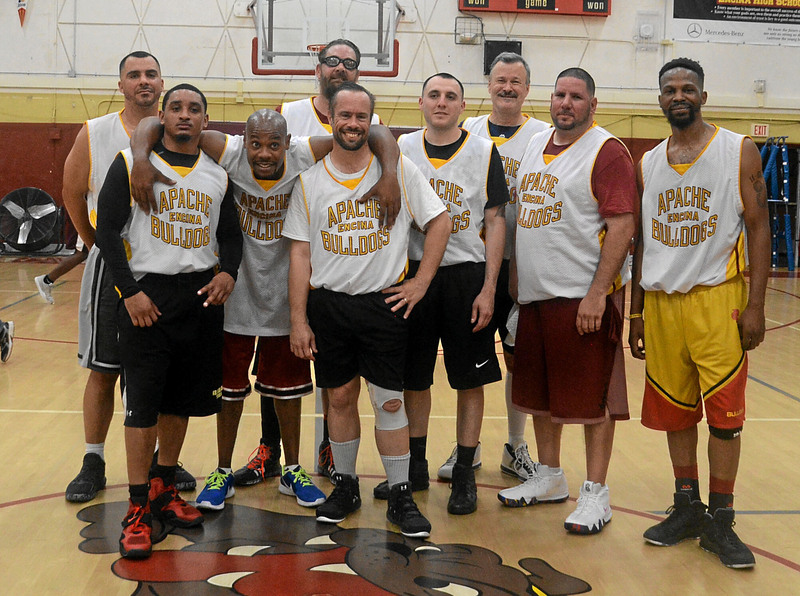 In the past fifteen years the alumni challenge has raised over $678,000 for Encina! While this is due in no small part to the generosity of alumni benefactor Paul Bonderson 70, we have had as many as 400 individual alumni pledges in past years. These pledges ranged from a few dollars to thousands of dollars. No pledge is too small, nor too large <g>.